Grizzly Industrial unveiled a beefy (2,314 lbs.) 24" double-head planer/ sander at IWF 2008. 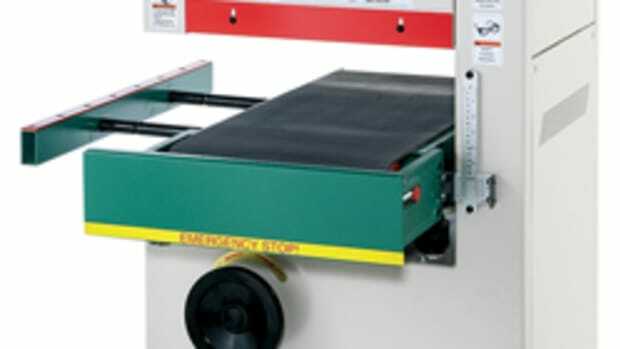 The heavy-duty machine is designed for cabinet-shop production jobs, such as dimensioning lumber, and is capable of handling stock up to 24" wide and 6" high. 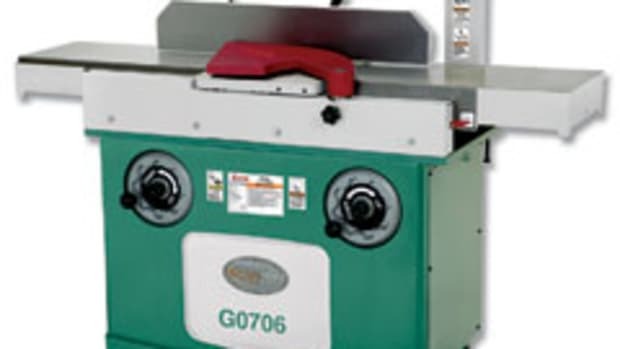 The planer/sander, model G0677, operates with a 3-phase, 15-hp motor for planing and sanding, 1-hp conveyer motor, and 1/4-hp motor that controls table elevation. A 5"-diameter spiral cutterhead, featuring six cutter rows and 188 indexable carbide inserts, spins at 4,600 rpm. 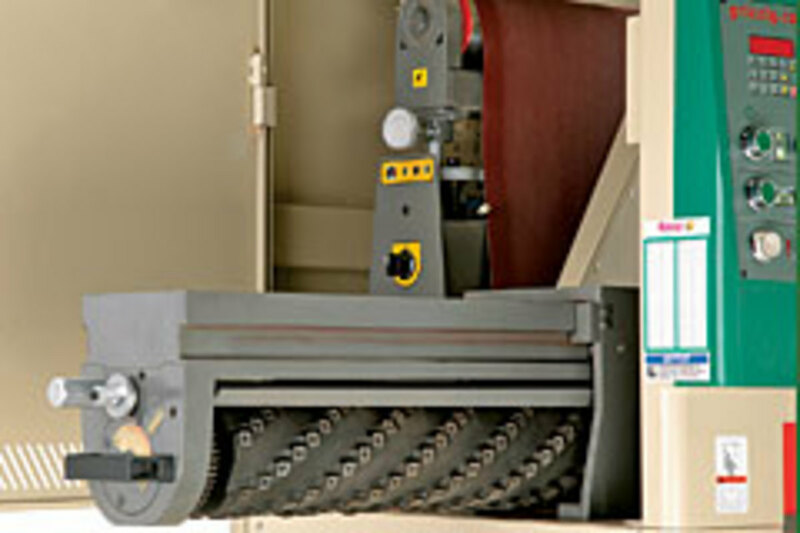 The cutterhead is mounted on a track and roller system that allows it to slide out of the machine for maintenance. 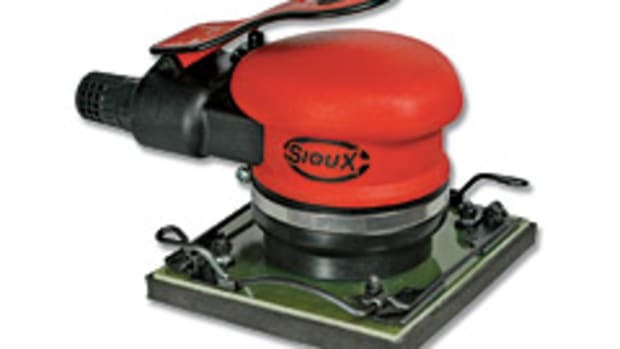 The machine’s sanding drum is behind the cutterhead and accommodates a 25" x 60" belt. Grizzly has incorporated pneumatic belt tracking and three pressure rollers. 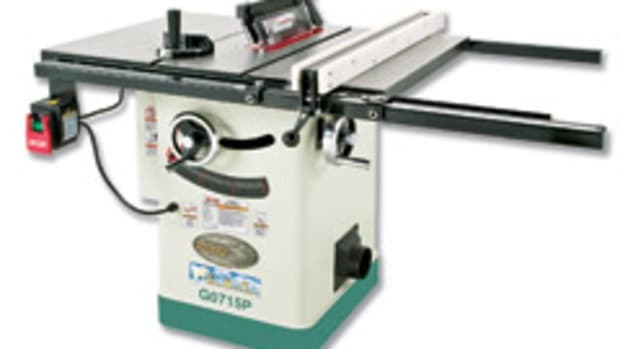 The belt-changing procedure is the same as for a wide belt sander. The user simply has to shut off the machine, open the cabinet door, turn off the pneumatic tensioner, flip a lever and remove the sanding belt. 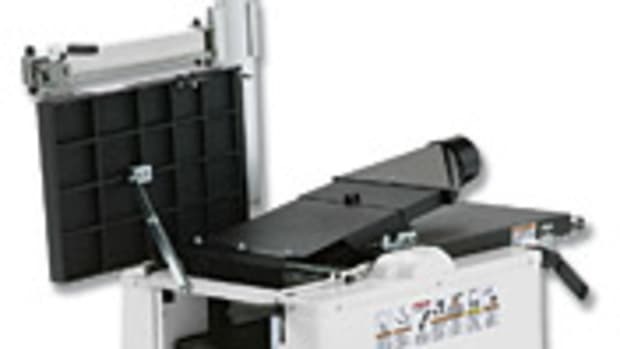 The variable speed conveyor belt measures 24" x 102-3/8" and operates from 14 to 60 fpm. 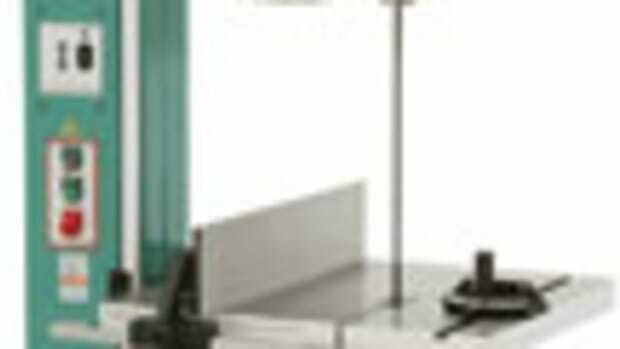 Table elevation is digitally controlled and can be moved in several ways. The digital display is in 0.005" increments (0.1mm) and is shown in either inches or metric. Other features include a steel body and frame, digital amp/load meter, disc brake emergency stop, and four 5" dust ports. The machine has a pneumatic requirement of 75 psi to provide the tension of the sanding belt and its oscillation. 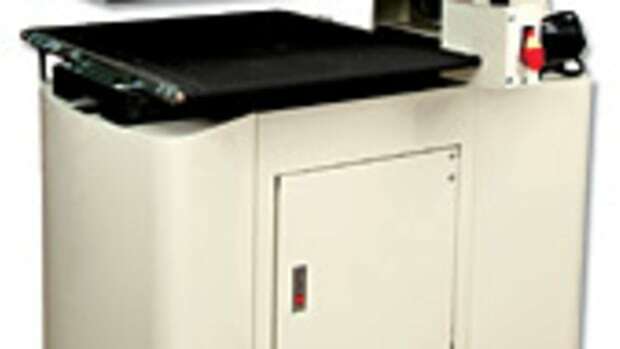 The combination machine can also be used for a single function. 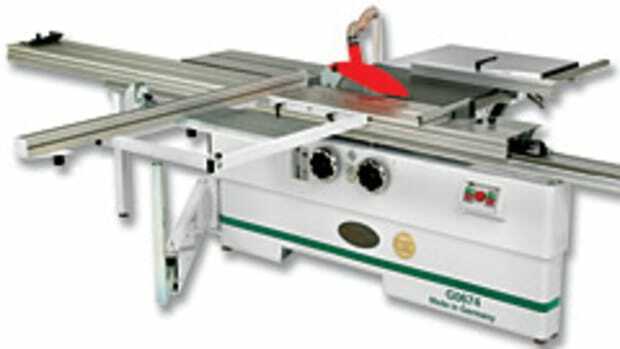 If material is already sized and doesn’t need to be planed, the cutterhead can be quickly raised so the machine functions as a wide belt sander only. “It will leave a very smooth finish that, in many cases, will be the final stage,” says Crofutt. “For fine furniture, in most cases, I think it would require some random orbital sanding, just like any other wide belt sander. 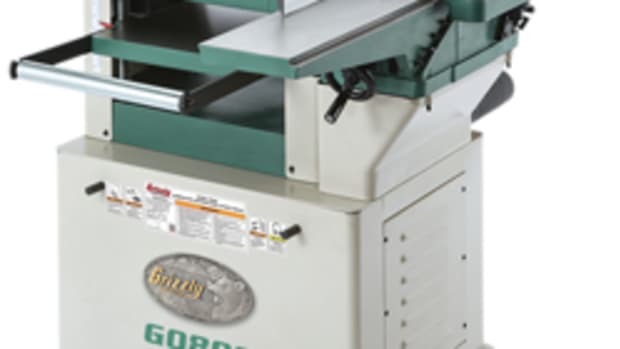 The Grizzly 24" double-head planer/ sander, model G0677, has an introductory price of $12,995.